In recent weeks there appear to have been an increasing number of articles written about cloud computing myths. I am not complaining about that. In fact, I have written a few myself. And I am hopeful that this is another sign of maturing technology and a continuing increase in people’s understanding of cloud computing’s benefits, and caveats. Mary Branscombe’s recent post “The six myths of cloud” made me think of another popular myth: “Cloud computing only makes sense for large deployments” (or when there are large surge requirements). This myth sort of begins where her first myth ends, and it raises some important issues. What is the cost of maintenance and support for the hardware? What is the cost of software license and support? What kinds of skills are required? Systems administration? Backup and recovery? Security? What skill level is required? The higher the skill level, the higher the cost. Can current employees fulfill those roles? At what cost and opportunity cost? Will they require training? At what cost? Will the employees ever eat, take breaks, or go on vacation? Then you will need at least two people capable of fulfilling each role. Will anything malfunction? Will users have questions? Likely. Do you currently have a service desk infrastructure? Do you have robust IT service management processes? You’ll need those too. If you require backup, must you purchase hardware (or a cloud service) for that? Is the network infrastructure adequate? Will it require upgrades? Will new equipment or wiring be required? At what cost? What is the cost to manage and track all of this? Do you have space in a facility suited for the equipment? Could you renovate? Would you have to build an addition or data center? Is there sufficient power, cooling, lighting? If not, what is the cost to provide it? How much time and effort will be required to make all of this happen? Often these types of requirements are discovered after the servers are uncrated. Any of these second order costs could, on its own, provide the cost justification for selecting a cloud service over an on-premise service; especially for a small or medium sized business. A good cloud provider should be able to create a robust, resilient, business-class computing environment at higher quality and much less expensively than a typical small business even at a scale of five or ten servers. And they would have it sooner, likely with a much better level of service and operational discipline than they could provide on their own. And there is second order thinking required with cloud services as well. Cloud services are typically elastic, but you need to know how you are charged for your surges. (Are you charged based upon peak use? Average use? Per day? Per Month? Is there a premium per hour charge for complete flexibility? For guaranteed availability of new capacity?) There are, of course, also cases where larger enterprises can have the best of both worlds through private or hybrid cloud deployments. Though even they require second order thinking commensurate with the investment they will require. I could certainly continue enumerating second order items on both sides of the discussion. Though my main point here is that these items exist at any scale; and so do the benefits. Even at a small scale, cloud computing may deliver benefits to your business. It can reduce startup costs and time. It can reduce the risk of experimentation. It can segregate the new systems from existing systems (reducing risk to your existing business), and it can enable you to succeed (or fail) faster and at less cost. And, as Branscombe suggests, it can enable you to get started much more quickly. In addition, it’s not only about cloud options being less expensive compared to your costs. It’s also about quality, service features, and skill levels. It’s about what provides the best business value, which is not necessarily the least expensive option. So, don’t count cloud computing out only because the scale is small. If you do not, you might be extremely happy if your experiment pays off. 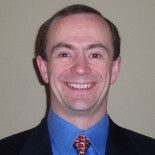 This entry was posted on February 14, 2013 by @GeorgeDWatt in Cloud, Measurement & Finance, Mgt. & Soft Skills, Resilience and tagged alignment, business, Business Continuity, business model, business models, change, cloud, Continuity, customer, enterprise, finance, Lessons, management, Measurement, medium, model, Myth, productivity, Resilience, rogue, Second Order, Security, service, SLA, small, SMB, SME, software, software license, systems administration, technology, Views.